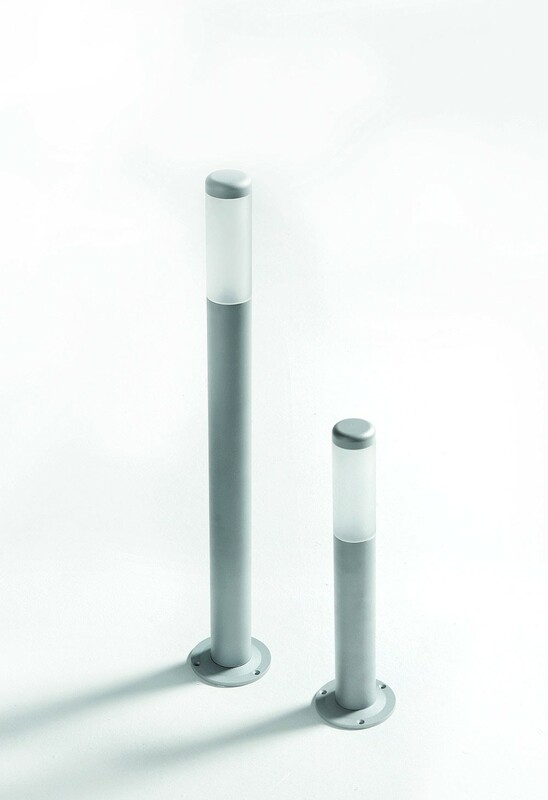 Floor Outdoor LED stand light, aluminum body + PMMA. Circular light emission. 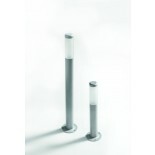 Ideal for lighting paths and gardens. 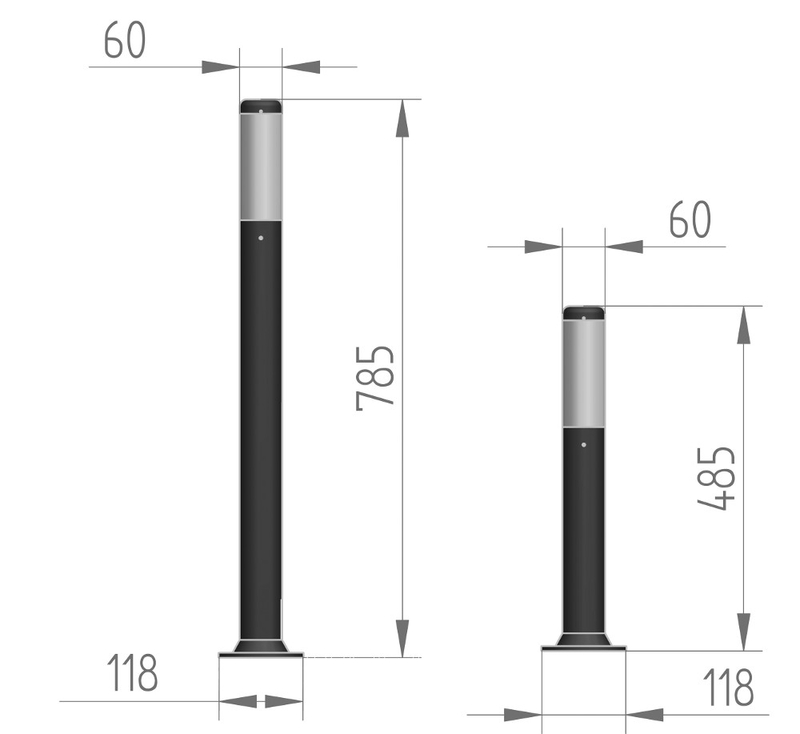 Available in two versions: 485mm and 785mm. Interchangeable lamp.